For those dreaming of an unforgettable cruise holiday, now could be the perfect time to book. Several operators are currently offering huge savings on selected cruises departing 2015/2016, including Royal Caribbean, Azamara and Celebrity Cruises. Here’s a round-up of five of the best cruise deals you need to know about. Book a European cruise in one of Celebrity Cruises’ luxury Oceanview staterooms before 31st March, and not only will you receive a great discount off the price of your holiday, you’ll also enjoy a free beverage package, up to US$300 onboard credit and free gratuities. 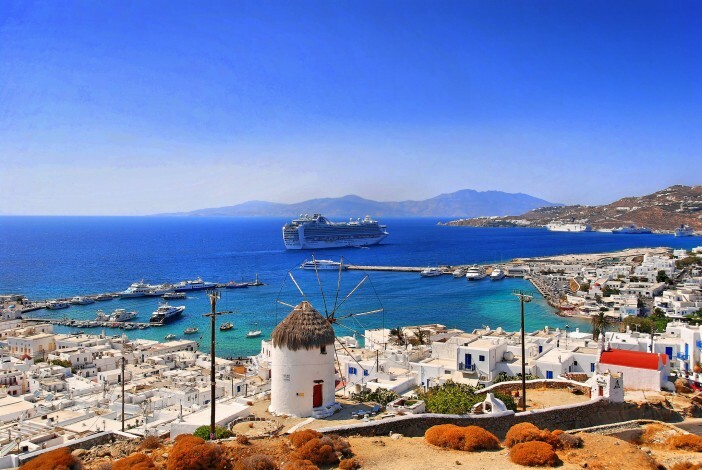 Experience the beauty of the Italian Riviera, sample Spanish culture in Barcelona or lay your towel on the white sands of Turkey – with Celebrity Cruises fantastic last minute super savings, you can set sail to to Europe for less. With three amazing offers available on cruises booked before 31st March, there’s never been a better time to book a European cruise with Azamara Club Cruises. Not content to offer just one great discount, Azamara are giving customers a choice of three fantastic offers, including US$1,000 credit to spend onboard, free stateroom upgrade or US$1,000 air credit. Plus, guests will still enjoy a choice of complimentary amenities, including alcoholic beverages and speciality teas and coffees. Royal Caribbean’s Global WOW Sale is back, with a wide range of savings on worldwide sailings departing 15 May 2015 onwards. Book before 2nd April 2015 and you’ll receive a huge saving off the price of your holiday, as well as up to US$200 onboard credit and 50% off the deposit. Royal Caribbean’s impressive WOW Sale discounts are available on a range of routes and cabin classes, so you can enjoy a discounted cruise that fits around you. Summer 2016 may seem a world away, but take it from us – it’s never too early to book a cruise. The majority of Royal Caribbean’s summer 2015 cruises are sold out, with bookings already been taken for summer 2016. Thanks to Royal Caribbean’s excellent Next Summer Sale, now is the perfect time to book your 2016 summer holiday, with savings of up to $1,000 and 50% off deposits. Plus, you can combine Next Summer Sale discounts with Royal Caribbean’s Global WOW Sale for even bigger savings. Always wanted to visit Asia? Now you can, with Royal Caribbean’s Fly Free offer. Book a cruise of 10 nights or more before 31st March 2015 and enjoy free return flights to Asia from a choice of airports including Sydney, Brisbane, Adelaide and Melbourne. Explore exotic destinations like Thailand, Cambodia, Vietnam and Taiwan aboard the luxurious Legend of the Seas. This offer is available on selected sailings between September and November 2015, making it the perfect choice for a pre-Christmas break. For a complete range of 2015/2016 cruises and deals, visit the Cruise1st homepage or call our team on 1300 857 345.